Create a unique gift with our wonderful Watch Our Love Grow Planter. 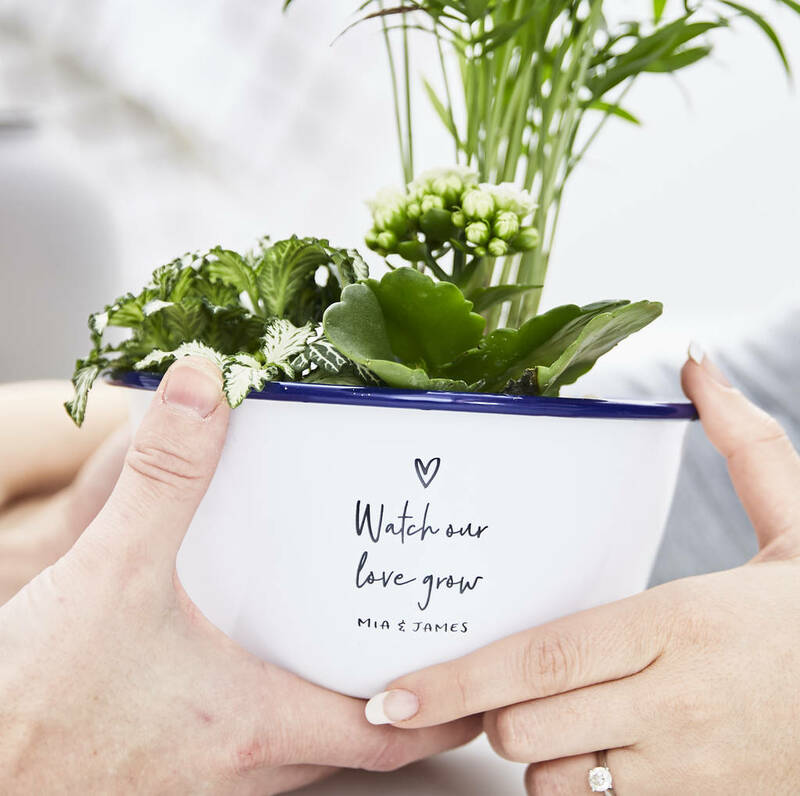 Our Personalised Couples Planter is perfect for Engagements, Weddings, Anniversaries and more. Great for displaying pretty flowers and plants around the home, this sweet Enamel Couple Planter features yours and your loved one's name along with a personalised message above. Your bespoke planter will be engraved with your chosen personalisation and makes a really thoughtful gift for a special couple to watch their love grow in the form of their favourite plant. Our Personalisaed Couples Planter makes a thoughtful gift for all occasions, Birthdays, Weddings, Anniversaries, Valentines, Christmas, Mother's Day, or a perfect treat for that special friend or family member.